Datalogic is pleased to announce that the Memor X3, Datalogic’s most compact mobile computer, is now extending its portfolio with the introduction of two additional models featuring a new 2D Multi-Purpose imaging engine. The new 2D engine is easily recognized with its highly visible white-illumination and offers a reading performance that is comparable to the red-illumination 2D engines offered with existing Memor X3 2D models. Ideally suited for most any general purpose need for reading 1D or 2D codes, the multi-purpose imager is the best choice for future-proofing your customer. Traditional laser scanners read linear bar codes at the point-of-sale—a technology that greatly simplified checkout. But today’s highly developed area-imaging scanners enable greater capability and flexibility, putting far more productivity into the hands of retail employees and allowing for revenue-generating mobile marketing initiatives. Finding the Right Barcode Scanner – What Makes Them Different? Selecting a barcode scanner may seem like a simple enough task at first glance but given the range of barcodes and how they are used today, it can quickly become a challenge to find the right one. Most scanners today are more than capable of reading well printed barcodes on a typical paper label. That said, uses for barcodes have expanded well beyond basic labels and many specialized scanners are available to meet the needs of specific applications. In the following we’ll cover some key features to consider when trying to select the best fit scanner for your needs. Probably the most crucial first step in selecting a scanner is determining what kind of barcodes you will be reading. The traditional picket fence style 1D barcodes are still the most commonly used and are often printed on a label but you will find the use of 2D matrix style codes much more common today. Likewise, you may not just be reading barcodes on a printed label as more applications are embracing scanning off of smartphone screens or from codes directly etched/molded into a product. In the case of simple 1D barcodes on a label, your standard laser of linear imager will readily meet your needs. 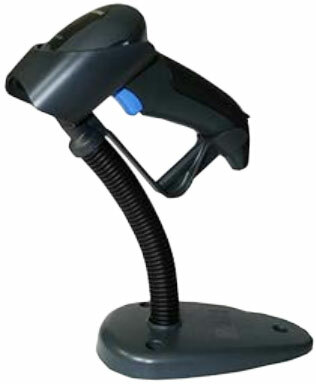 For 2D barcodes or applications reading from not printed surfaces, a full 2D imager will be needed to properly scan the code. 2D imagers are more costly but their main advantage is that they can essentially omnidirectionally read any barcode from almost any surface. The PowerScan 9500 family of imagers represents the 2D handheld area imagers with rugged mechanics for industrial applications. Recently launched, the corded PD9500, the mobile PBT9500 with Bluetooth wireless technology and the PM9500 with STAR 2.0 Cordless System have already demonstrated their value in the field. With the introduction of the PM9500-DK with a full 16-key keyboard, the family is now complete offering an unequalled variety of models to satisfy the most demanding of customers with a model perfectly suited for their application requirements. The PM9500-DK is equipped with a mobile telephone-like keyboard with direct access to numbers, while the alphanumeric characters are managed through a shift key. In addition, the 4 function keys are also configurable with single or multiple characters to increase the product versatility and to make repetitive actions easier and faster. Motorola’s new lightweight Symbol DS4308 2D imagers provide the ergonomics, flexibility and advanced performance necessary to comfortably scan bar codes nearer and farther than any other scanner in its class. 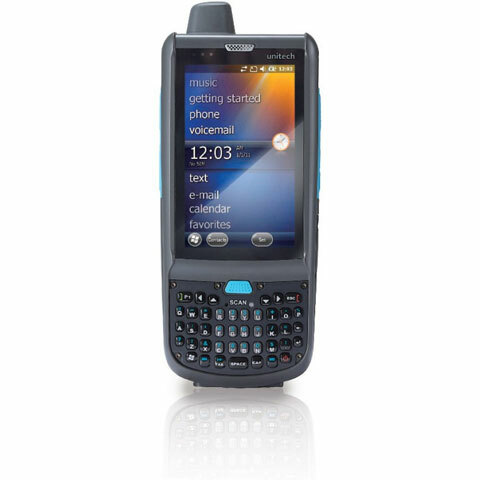 The DS4308 leverages Motorola’s most advanced imaging engine to quickly capture virtually any bar code – whether it is a high-density bar code on merchandise, displayed on the screen of a mobile phone, or printed on paper and damaged, scratched or dirty. Green and red light indicators can also be mixed and matched with audio to provide scanning feedback in any environment whether it is a noisy manufacturing production line or a quiet hospital room. As an industry leading manufacturer of mobile computers, Intermec is continually improving their product lines with improved features and capabilities. 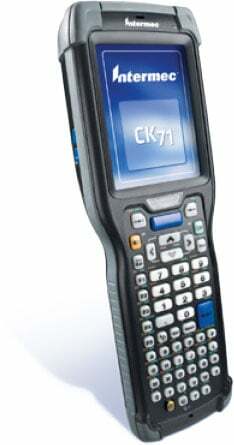 With their most recent product update they have improved several features of the popular CK71 line as well as provide new scanning options. Improved display – with better image quality, readability and lower power consumption. Improved keypad ergonomics – tactile feedback for more input confidence while maintaining the same indestructible laser-etched keys. Improved scan window durability – added scratch-resistant coating to provide better protection against abrasives. Datalogic has recently announced the release of a new stand for the QuickScan QD2400 2D handheld area imager. This new stand combines the flexible neck of the basic stand (part number STD-QD24) with the automatic switching capability between handheld and hands-free/presentation of the auto-sense stand (part number STD-AUTOQD24). The new auto-flex stand provides an additional and versatile solution for auto-switching between handheld and hands-free scanning. A new kit (part number QD2430-BKK10X-C540) has been created which includes the QD2430-BK, a USB cable, and the new auto-flex switching stand. 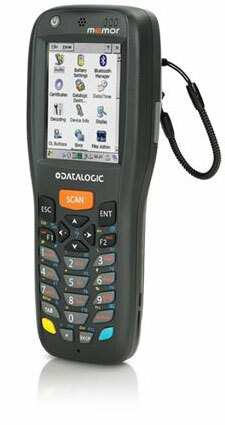 For assistance finding the right Datalogic scanner for your needs, contact us at BarcodesInc. Cognex, the world’s leader in machine vision, has announced the release of its fastest and most economical industrial handheld readers yet, the DataMan 8050 Series. Designed with a ruggedized housing to handle harsh factory floor conditions and equipped with Cognex’s world-class barcode reading algorithms, the DataMan 8050 Series can read even challenging barcodes quickly and easily. The patent-pending DataMan 8050 and 8050X are ideal for applications in many manufacturing environments, such as automotive, consumer electronics, aerospace and packaging. The DataMan 8050 and 8050X utilize Cognex’s patented 1DMax+ with Hotbars algorithms to provide high-speed reading performance even with damaged, low contrast or direct inkjet barcodes. Our industry-leading 2-D algorithms allow the 8050 to rapidly decode a variety of 2-D symbologies, including DataMatrix, QR, PDF417 and Aztec codes.